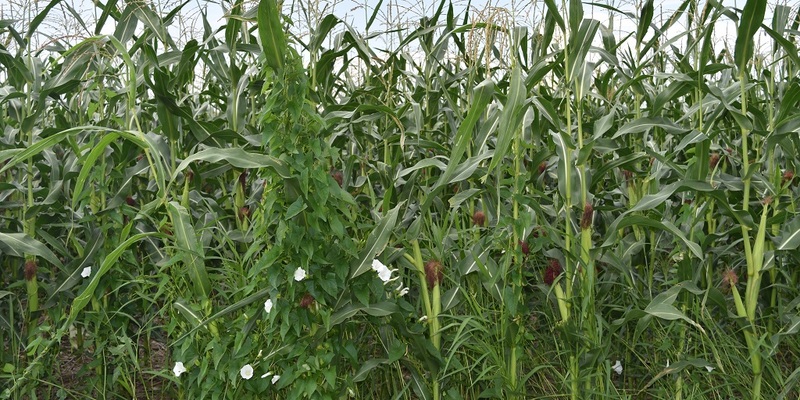 Cuba City, WI, 2018: Morningglory grows up corn plants. 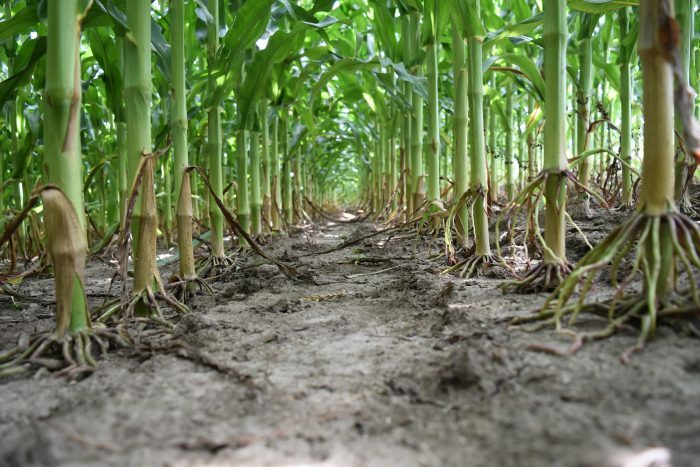 Avoid having a tangled mess in your fields, now and in the future, by being proactive about weed control. To start clean and stay clean in 2019, we recommend Acuron® or Acuron Flexi corn herbicide. Acuron has 4 active ingredients and 3 effective sites of action (Groups 5, 15, and 27), and Acuron Flexi, its atrazine-free counterpart, has 3 active ingredients and 2 effective sites of action (Groups 15 and 27). Both contain the active ingredient bicyclopyrone, which complements the other active ingredients to deliver more effective and more consistent control than competitive products – especially on large-seeded broadleaf weeds like morningglory and giant ragweed. For optimal control, these brands should be applied in a 2-pass system. In a 2-pass system, a pre-emergence foundation rate of Acuron or Acuron Flexi can also be followed by a post-emergence application of Halex® GT herbicide plus either an atrazine or dicamba product. Applying Halex GT post-emergence adds an additional site of action (Groups 9, 15 and 27). Mount Horeb, WI, 2018: Acuron Flexi 102 days after application.